I’m in the car at the moment, being driven home (by our unbelievably lovely driver – who goes above and beyond, particularly in relation to the three little ones) from an extravagant M&S shopping excursion. I have much to be grateful for. Thanksgiving is, without any doubt, my favorite adopted holiday. Food, friends, no need to buy presents. I have loved it from my first one in New York, and even if only with a nod, we acknowledge it each year as a family. This year we took the little people out for a treat family dinner – and I’ll be honest and say that the meal was close to an abject failure. The littlest ate sweet potato fries and wailed. The middlest wouldn’t sit still and just ran around singing – badly and loudly. And the eldest decided she didn’t really like Thanksgiving dinner after all. Family dinners out are rarely smooth, quiet, enjoyable minutes – but this one hit a low point. However, the one thing that kept the 2 oldest ones happiest for longest – drawing pictures of what they were grateful for. The eldest surpassed herself and actually chose to draw the family at dinner – her image being a little more ‘last supper’ in style than she might have meant (although, that was kind of how we were feeling…) and the middlest chose ‘chicken strips’ (quite possibly to annoy his elder sis, as she had decided to be a grown up and not order off the kids menu) – but they enjoyed the task. I forgot yesterday. I was tired and grumpy after an afternoon of solo parenting and yet another IKEA mishap… And they reminded me. Mummy – what are you grateful for? And so, to remind me how lucky I am, I will post my current gratitude list here. 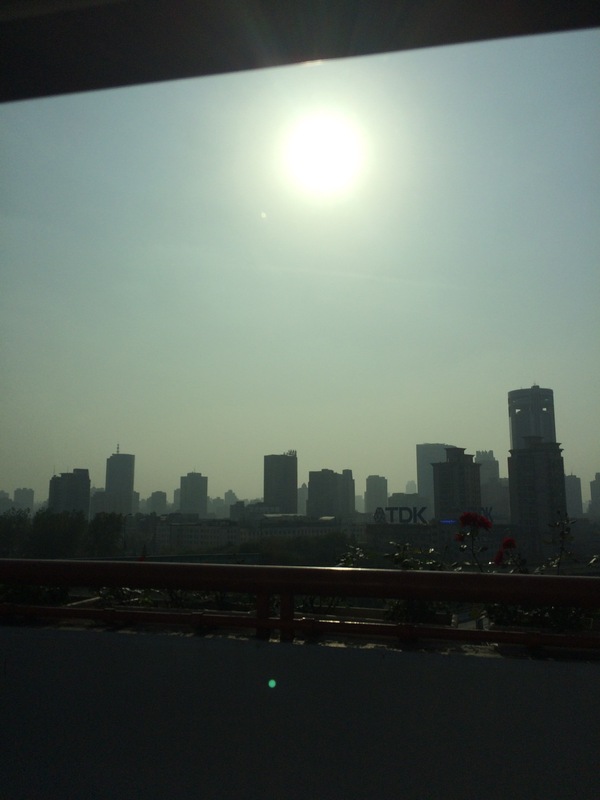 The blue sky and sunshine that Shanghai has today. Yes it is cold. Yes the air quality is not great. But it is sunny and I am cheerful. My family – they might well all drive my crazy on a regular basis, but each one of them amazes me – on a daily basis. Internet access – courtesy of a tireless (but tired) hubby who kept going and got it sorted. The adventure I am on. There are good days and not so good days – and where to find tasty cheese features far too often on my worry list – but I am well aware how privileged I am to be on this adventure. I need to add one in, at the end of the day. I am grateful for my bicycle. On the days when I’m not ‘working’ (& by that I mean the days that I’m not going in to the office to do paid work, which actually feels surprisingly less like ‘work’ than looking after 3 small people for free does) I cycle the 3 minutes it take to get to school with the kids – and I love it. Not getting mown down by a scooter, a car turning at the lights, or another child cyclist starts the day off with a huge sense of accomplishment that never fails to impress me. I then get to take littlest one (in her child seat on the back – and she always reminds me to put her helmet on before we go anywhere) to nursery, through a lovely green compound, where she merrily sings and says Ni Hao to everyone she sees. And then I get to head home. It’s a 20 minute round trip max, and I love it. And I love the end of day return – when the eldest races off ahead, to be the first home, calling the rest of us slow coaches. It’s a small thing. But it makes me smile. Every time. I have no idea why this particular Alison Moyet song has been going round in my head this week, but it has. And it got me thinking about the joy I used to feel, back in the days when I did write love letters. Some of my best learning (& epic fails) in Spanish came from the writing of truly awful (love) letters to a wholly inappropriate holiday romance – I laugh and cringe in equal measures when I look back and think about it now, but I remember my Spanish teacher being amazed at some of my ‘colloquial vocabulary’! When I went traveling at the end of my first year of uni – and promptly went completely doolally on Larium (NEVER take this medicine, EVER!) one of the things that I remember pulling me through was receiving a carefully and lovingly written aerogramme from my Dad. 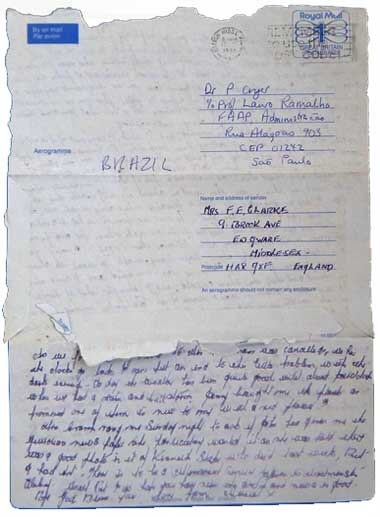 He’d sent it care of the airline I was flying with to Burma (as it was then) – to the airport, quoting my flight number – and it was handed to me as I checked in. I was amazed and brought to tears – as I realised that even though I was miles away, I was loved. But the magic of having words crafted into elaborate sentences, of taking the time to really express how you feel – I think it’s probably the effort I miss more than anything. And I miss the doing part of it, as well as the receiving part of it. So for now, a few small letters of my own – in the hope of the recipients knowing that they are loved. Come home. You are missed. Really missed. We are making our way through this huge adventure and without a doubt this (big) city and (overly large) home just feels emptier without you. Come home and let me grumble about what you have missed while you have been traveling. It somehow always feels funnier when I share it with you. Thank you, for your hunting me out eyes and huge smiles when I pick you up every day. Thank you for taking every part of this adventure in your stride, even when it completely overwhelms me. 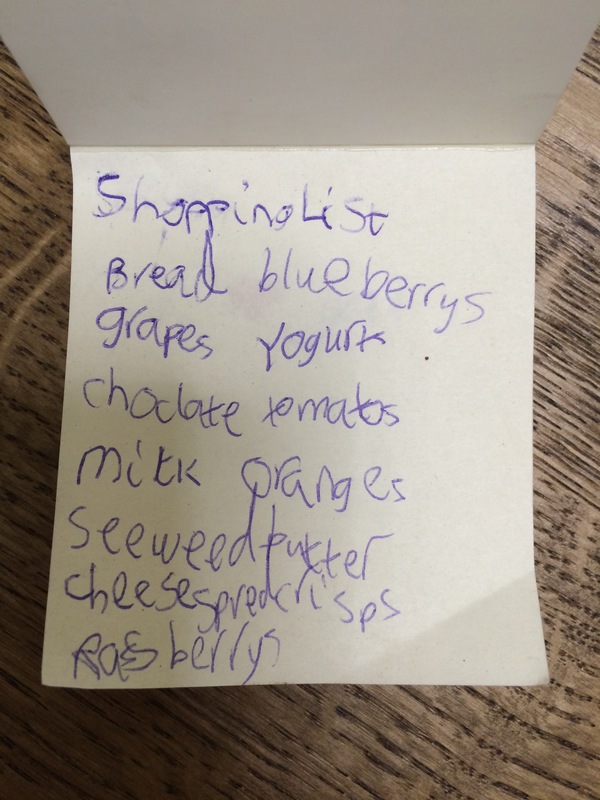 And Big Pickle, thank you this week in particular for the shopping list you wrote me. 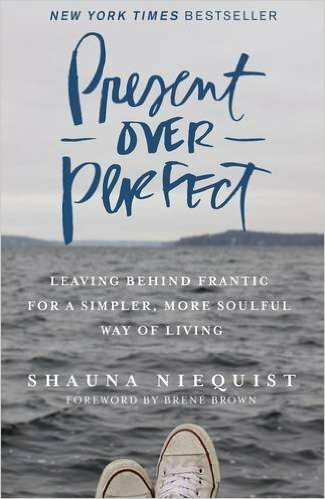 That journey of yours around the kitchen, checking and asking and writing – well, to me, that was quite a love letter of its own – it meant I had one less thing to think about doing at the end of the day. And it meant you got what you wanted. Both happy. Result! I owe you a million (love) letters of thanks for all you have sat with me through from uni to here. 20 years is a long time. More than many a marriage. More than a served sentence ‘for life’. I’m not sure I’d have enough paper and ink, so for now, FaceTime will have to do. You have no idea how much I miss each and everyone of you! Go rock Cologne – and share your stories of glory with me post event! The glass ceiling of Javits is still in tact (more’s the pity, I hear plenty of people say…) and my little girl could still become the first female President of the United States. So, what’s next? There’s a very clear (but not very long, in reality) 4 year window here to find the next Gamechanger, to find the next person who can restore our faith in humanity, in opportunity. 4yrs to fashion a response to this insane acceptance of gross misogyny, racism, fear & hatred. 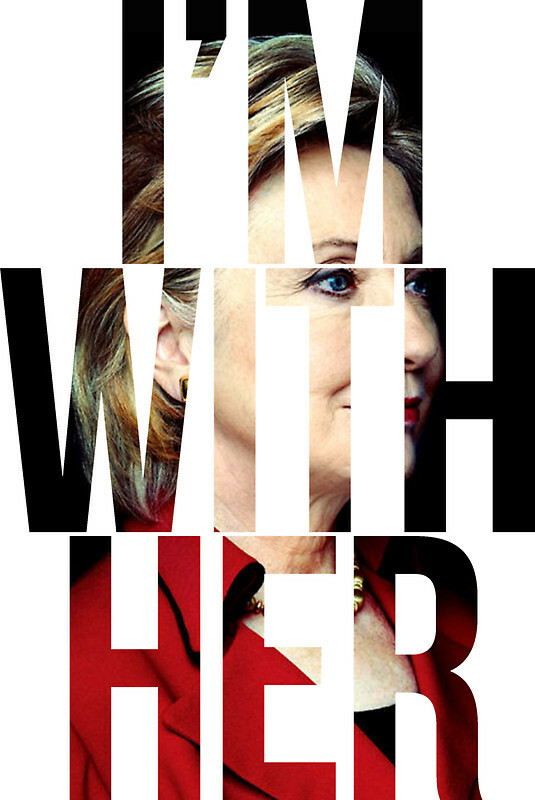 Because whilst I’m #Stillwither, her defeat cannot be the end. There has to be the next candidate lining up to take on the fight. There needs to be a succession plan. And probably more importantly than ever, we each need to realise that we are all, individually, responsible for the change we want to see in the world. So, I choose to be a Gamechanger from now on. For myself. For my family. And for every damned thing that I say I really care about. It’s up to me. (And you.) Because, let’s be honest, the global collection of ‘People in Charge’ right now aren’t really likely to do it for us, are they? I try and make active choices each week as to what to write about. Rather than it just being my end of week ramblings. This week, it’s a ‘hubby away, let’s revisit the midlife crisis’ inspired post. And it’s a books inspired post as well (no surprise there really… but it’s ok – we’re got a change from Brené this time… although… to be honest they are linked…). It’s got flavours of the election going on, with some day to day Shanghai-nese texture too… Let’s hope it mixes well.